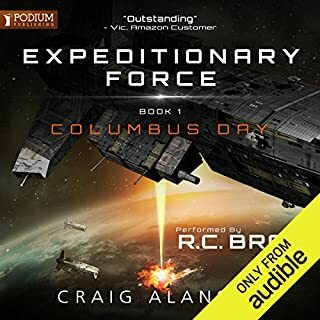 Captain Morgan Passer commands the Rogue Class destroyer Autolycus, charged with an interstellar recon mission to detect traces of the repelled enemy while gathering information for the fortification of Earth's defenses. What the expedition finds instead is a deeply disturbing mystery: a discovery that redefines everything they thought they knew about Earth's place in the galaxy...and reveals deadly new horrors. In this original story set in the Odyssey One world, former enemies unite for their own survival, and Passer and his intrepid crew seek answers to help them save their people. Instead, they find that the invasion may be over, but the danger is just beginning. 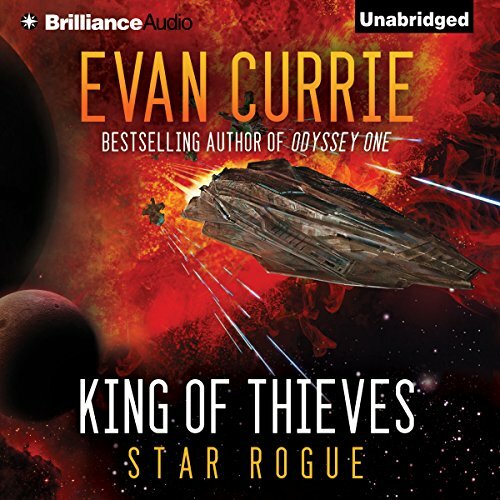 ©2015 Evan Currie (P)2014 Brilliance Audio, all rights reserved. I found this series when Homeworld was the latest book, and couldn't wait for Out of the Black. With this book, however, I'm about half way through and I think I'll call it quits here. Story-wise, I just never got into it. It may be that in the interim since OotB I discovered the Frontiers Saga, which bundles many of the same concepts into a much more polished storyline that combined with much quicker releases of new installations makes it a hard series to compete with. Even so, the previous four books never bored me to the point of quitting, rather far from it. I guess the new storyline simply doesn't have the same appeal to me as the previous one, for whatever that's worth. One thing is certain: the narrator didn't help here. His various voices are so odd at times that several of the characters ended up sounding like variations of Cartman from South Park, while others sounded like they just hit puberty - or a combination. The story has to be exceptional for it to survive its characters sounding like cartoon characters. However that dwarfs the issue of a narrator (or producer, whoever's fault it is) caring so little that he can't be bothered checking the established pronunciation norms for a given literary universe. How that even happens in a profit-driven business run by supposedly intelligent human beings is just beyond me. Or Bayand My as Mr. Haberkorn would probably have pronounced it. 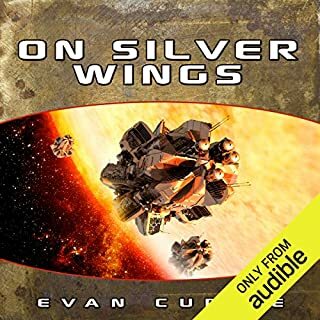 While set in the same universe as Odyssey One (a 4 installment series), Currie diverges with a new crew that is a fresh start. Westin (from the original series) provides the marching orders which include putting a new ship class through its paces as well as exploring distant star systems that present anomalies that may suggest alien Dyson constructs in production. 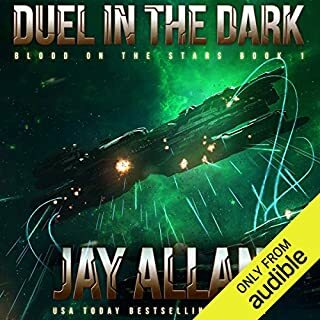 What the crew stumbles upon instead is even stranger alien technology that hints at an intelligent race related to, but far beyond anything they have previously encountered with the Priminae. Just getting out alive is not certain. Th sci-fi elements draw heavily from Odyssey One, but add some quite nifty physics / cosmology with powerful gravitational lensing and distortion as well as unusual alien creatures.The action is well paced with excellent interpersonal relationships complicated by quirky peccadilloes. As an opening act, this cast promises new adventures that build on and rival their older siblings from earlier installments. The narration is superbly rendered with a solid range of voices even for both genders. The tone and mood match the haunted house impression for most of the tale. The reader is outstanding. But the book is a big disappointment. I have listened to all but the last hour and frankly don't care how it ends. the Author has written some good books but this is not one of them. It seems to be a set up for a new series in the universe he created in an earlier series. The book is so caught up in developing ground-breaking sci-fi concepts that there is no real plot or character development. it was a good enough entry into the series. though I would have preferred the further chronicles of Eric Weston. That said, it dies last the groundwork for an offshoot into done interesting directions. It's worth a listen if only for continuity. 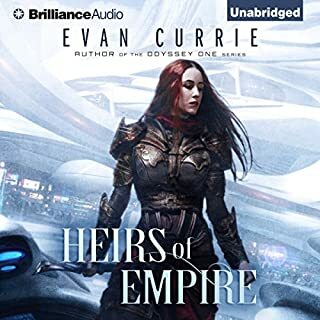 As an aside, for the new narrator, PLEASE listen to the previous books and pronounce the name of the main antagonist the same way as the rest of the series. I can't stress enough how annoying it is to listen to you mispronounce the name. It is almost as annoying as the way M. Knight Shamalyn butchered Aang's name in the last airbender, which is a VERY low bar indeed. 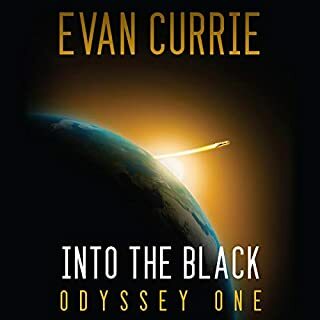 Did Evan Currie actually write this book? The story takes place in the same universe as the other titles, but this story feels like it was written by someone else. An excellent addition to the In To The Black universe. New and well thought out characters with out copying characters from the original series. I can't wait to see them grow in the coming books. The hardest part of Evan's books is waiting for the next! 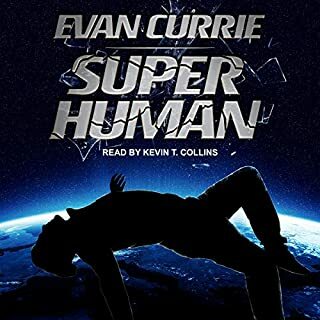 Evan Currie’s books are becoming an addiction for us. Like Pokémon, “ you gotta catch ‘em all”! We’re reading through all of his series and we were delighted to find this stand-alone story which ties into the Odyssey One series. Currie brings in new people and some great alien creatures/monsters. What a marvelous imagination this writer has! I won’t give any spoilers, but I will say that this was an intensely exciting read. If your a fan, you will enjoy adding this one to your Currie collection. Great fun! I think I may have read the books out of order, so I already knew the end of the story... take that into account with my review. Aside from that though, the story probably just should have been a short story. It was dragged out too long with often repetitive dialog. In this space exploration story the crew find a strange metallic moon that seems to hold untold advanced knowledge and technology. But it is also inhabited by deadly creatures. The crew is divided into the landing party, the drop ship, and the main ship, and all are under different sorts of attack. There is mention of conflict due to the crew being made up of former enemies on Earth who now work together in space. This is supposed to cause some tension among the characters, but they weren't as fully developed as could be. Perhaps this will smooth out in future volumes. There is some excitement as the Marines wait for rescue with their backs to the wall, but I had a hard time really getting into the story. It was always a book; it didn't make it to sweeping me away to another world. Written for retired Navy, (submariners) & Marines nostalgic for dialogue from their glory days and John Wayne fans. New characters mixed with old ones from Odyssey One series and new branch of original story to explore. What about Todd Haberkorn’s performance did you like? Most voices sounded too young but overall it was ok. I can't wait for second part! Interesting and enjoyable, slightly annoying with different pronunciation and stressing different sounds in names but still good! I'll be buying the next one! The story was the same great standard I was hoping for. The humour was neat like my whiskey. The characters, both new and old, were memorable. Battles were real but not to over the top. Just a bloody great read. Can't wait to see this series continue!